The MP Pointe is a multi-function light that combines beam, spot and wash in one fixture. 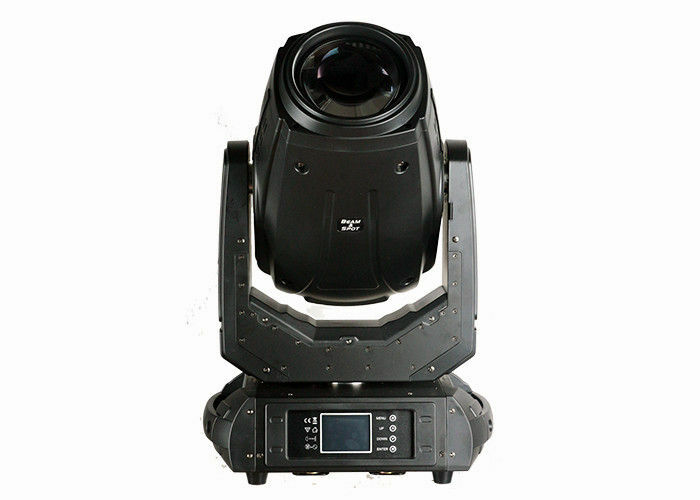 This moving head offers a full complement of professional characteristics, including a rotating gobo wheel, static gobo wheel, color wheel, 8-facet circular prism, 6-facet linear prism, variable frost filter, motorized linear focus, motorized ZOOM, variable speed shutter/strobe; and 0-100% mechanical dimmer. It's suitable for live performances, TV, parties, concerts and corporate events.